Soil is currently being destroyed 10 times faster than it is being created. This is not only putting the farming sector at risk and costing England & Wales £1.2 billion a year, but it is also negatively affecting the health of our rivers. A new report by WWF, The Rivers Trust and The Angling Trust shows that spending approximately £10 million a year on soil protection measures would ensure a future for agriculture and reverse the decline of our rivers. This is of particular importance as only 14% of rivers in England are classed as ‘healthy’; of which a contributing factor is poor land management and the loss of soils. The government’s target of ensuring three-quarters of rivers, lakes and wetlands in England are in good health in 2027 would boost the economy by a total of £8.4 billion through increased tourism, recreation, improved flood resilience and enhanced quality of life. Agriculture uses around 70% of the land are in the UK, and so has a huge role to play in keeping our rivers healthy. Furthermore, agriculture and land management accounts for roughly 75% of the sediment load in our rivers. This is a particular problem for rivers as this can lead to the transport of pollutants bound up in the sediments whilst also smothering spawning gravels, affecting filter feeding species and looking unsightly. 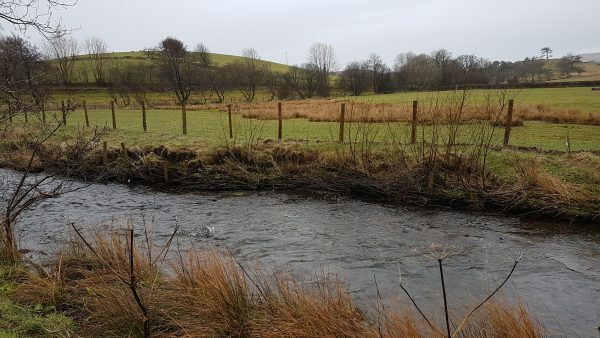 However, the majority of this can be reduced by implementing simple measures such as buffer strip fencing to protect the river banks from erosion, reduce sediment entering the water as well as providing habitats for a wide range of wildlife. The positive work being done by the project in conjunction with farmers and land owners will help protect not just the becks, river and lake but precious soils too, benefiting farmers and wildlife alike.